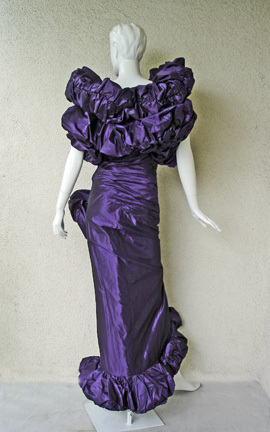 Opulent 80's Charles Hill-Roth for the 24 Collection irridescent purple silk taffeta gown with matching evening jacket. 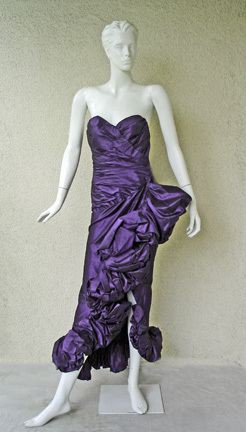 Designed with a strapless boned bodice with side asymmetrical closure. 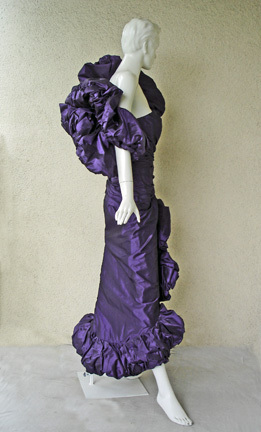 Fabric is meticulously manipulated by various ruching and twisting techniques to create an head turning over-the-top design. 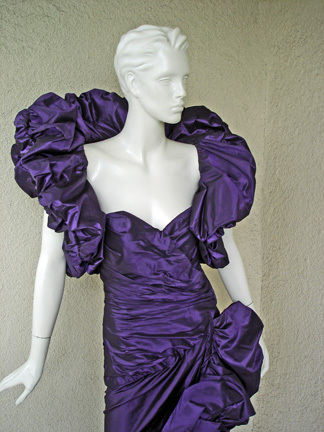 Matching bolero defines and enhances the complete look. 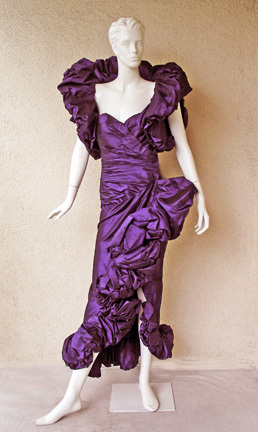 Very possibly a custom piece or was produced in very limited production. condition: excellent with no wear; some slight oxidation only in lining at bustline and does not affect the exterior of garment.